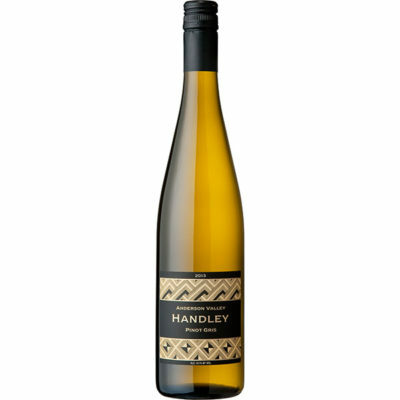 Aromas of honeydew melon and green tea lead to flavors of fresh apricot, pear, nectarine, papaya, and pineapple on the palate, with notes of lemongrass, tarragon and white pepper. The wine offers a full mid- palate texture and a crisp, spicy finish. Handley Cellars Pinot Gris is always a favorite as a cocktail or aperitif wine. It pairs well with full-flavored cheeses, salads, and seafood.